I feel as someone who is driven by both design and art history, it is my duty to make everyday objects beautiful and to inform while doing so. 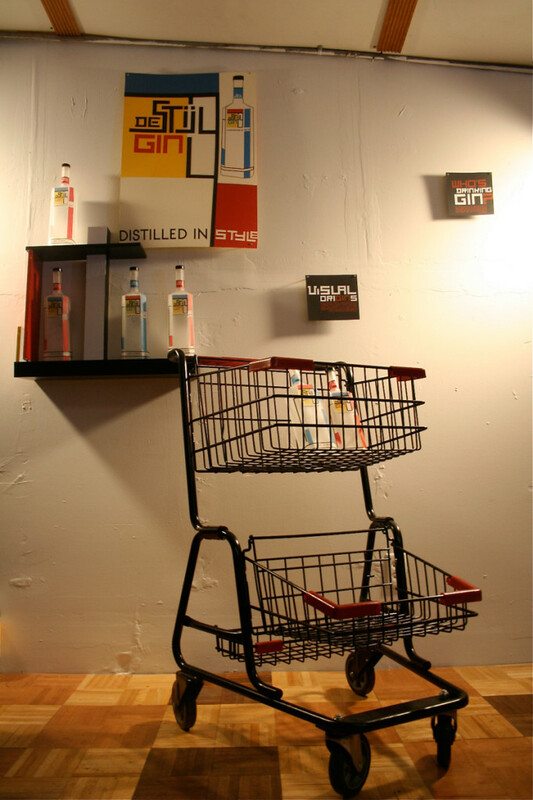 My piece revolves around a fictional gin label called, “De Stijl Gin.” Advertising is often driven by wordplay as well as Americanizing the exotic. Both my liquor and art movement of choice are from The Netherlands. Upon hearing about the De Stijl movement, I believed it was pronounced “di-’stil,” sounding almost identical to the process in which gin undergoes: distill. In its country of origin, the movement is pronounced “də ˈstɛil,” translating to “The Style.” By researching the aesthetics of De Stijl and the driving forces in creating a successful brand identity, I hoped to reach the same spiritual harmony and style as Van Doesburg and Mondrian.